Step back in time to a gentler age when hospitality was an art form and life was unhurried. Relax in the elegant parlor, while away an hour on the front porch or explore many of the area's attractions and state parks. Located in a restored 1840's inn, guest rooms feature restored and functional antiques along with individual room telephones and cable TV. The lower level is a great place to hold meetings or celebrate special events. The Wicker Park Inn offers high quality yet affordable accommodations in Chicago's "trendy" Wicker Park neighborhood just minutes from Downtown. The Inn is located on a quiet, tree-lined street of turn-of-the-century row houses only a short walk from great restaurants, vintage and boutique shops, cafes, art galleries, and nightlife. 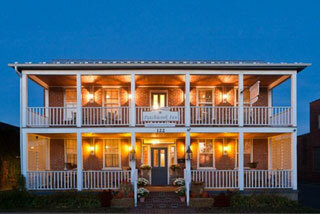 Each of our five charming guestrooms has a private bathroom, satellite TV, free Wi-Fi, and many other amenities. 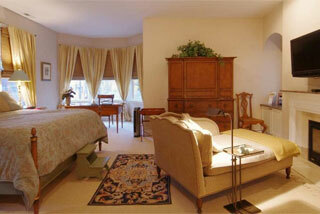 We also have 3 apartments ideal for families or a long-term stay. 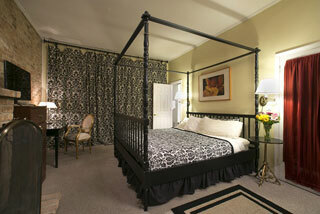 The Wicker Park Inn B&B is an ideal base for exploring all of Chicago's sights.